It’s been months promoting Koolfit (koolfit.mx) into the market. The most serious Private Cloud offer based on OpenStack, OpenVSwitch and Ceph. Thanks to the amazing KIOs’ talent that rapidly turn it into a strategic IT asset for any company. In order to understand what are the most used components among the OpenStack users. The foundation has conducted a survey to the last summit’s attendance. Results have proved KVM, Ceph and OpenVSwitch are the most used techs components among. check out yourself at survey results Nov 2014. Why would you choose Koolfit over AWS? The main purpose of Koolfit is to be the best Private Cloud option available… BIG GOALS don’t scare us… we GO BIG! We tried to make Koolfit easy to quote, easy to understand… However, there are many options to choose and the most attractive are “bare metal” bundles. Bare metals bring dedicated hardware for compute and storage for sure. Memory is not oversubscribed and you will have a dedicated networked storage based on SSD connected through multiples 10Gbps links managed by Ceph. There won’t be any other customer in it. Next post I will bring a case proving that AWS is worth to build your small business on. However, enterprise and mid-market needs are much wider and complex. A high demand for infrastructure and performance, It wouldn’t be fully satisfied through Public cloud. As much as agility and elasticity would be important factors, performance and management challenges will grow your bill to such amount that you will have to consider further options. Then, a private cloud won’t sound so hard to consider as one of the best available choices. 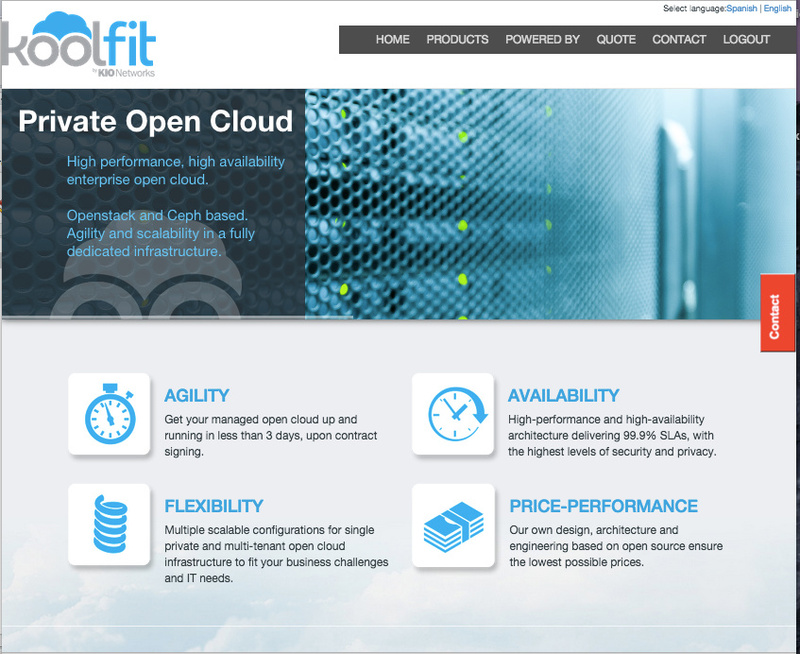 So, Koolfit brings the benefits of a private cloud and the power of the openstack community. Also, Koolfit brings managed services to make easy start enjoying the full potential of openstack into your business. Koolfit brings immediate availability of the infrastructure and a predictable fixed monthly payment. It will be easier your transition to private, or even you can start directly from private, that it would be more familiar if you don’t have any former experience taking stuff to Public. See you into the next post!